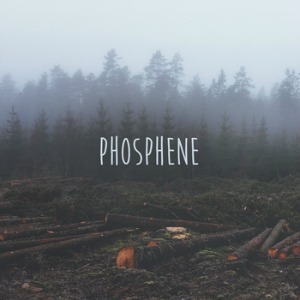 And then, sometimes, the good guys win… Slaved over for a year, recorded with savings, and physically produced via the fruits of a successful Indie Go-Go funding campaign, Phosphene’s self-titled debut is worth savoring. One of the joys of this past year was to see a light shined on indie pop songcraft, and along with LA’s La Sera and Brighton, UK’s Fear Of Men, Phosphene have packed a record with hooks and emotional heft. “Thief” is relentlessly catchy and “Lovers” guitar lines will warm the cockles of any jangle fan, but it’s when the mournful cello of “Dark Light” kicks in that you know you’re on to something special. Ending on a cryptic high note, “Rainier” is an indie pop processional, replete with an evocative piano coda. Phosphene started as a duo of Matt Hemmerich and Rachel Frankel (who also handled the cover design), and have expanded to a quartet, adding the elements that have defined their sound. Not resting on their laurels by any stretch, Phosphene already have a brand new track, “Silver”, available on their Bandcamp page, recorded at Different Fur Studios, courtesy of Converse Rubber Tracks program.